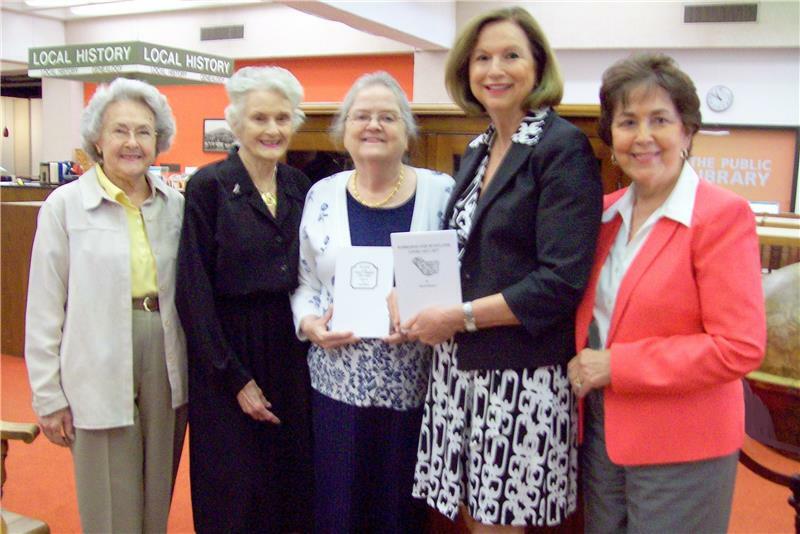 Colonial Dames Seventeenth Century members of Prudhomme Fort Chapter presented books to the genealogical reference section of the Chattanooga Public Library. Reference books placed were Barbados and Scotland Links 1627-1877, by David Dobson, 2005; and Scots in the West Indies 1707-1857 (Volume II) by David Dobson, 2006. The genealogy reference books were placed in memory of Bernice Pitts Nelson, a genealogist and former member of the chapter. The Colonial Dames Seventeenth Century Prudhomme Fort Chapter invites prospective members to become a part of a growing chapter. The group is active in community service in Chattanooga and nationally, with scholarship awards; service to veterans; and recognition of historic sites. For more information on membership, call 842-7774.